Set in a country park just 5 miles from the city of Aberdeen, Balmedie is the perfect spot to see white horses roll in from the North Sea and hear wind whistling through the long grasses of the sand dunes. Feel the Atlantic breeze as you wander along the white sands of Machrihanish. Its delicate dunes are classed a Site of Special Scientific Interest (SSSI). You might see resilient golfers on the two bordering links golf courses, or maybe an eager surfer darting through the swell. 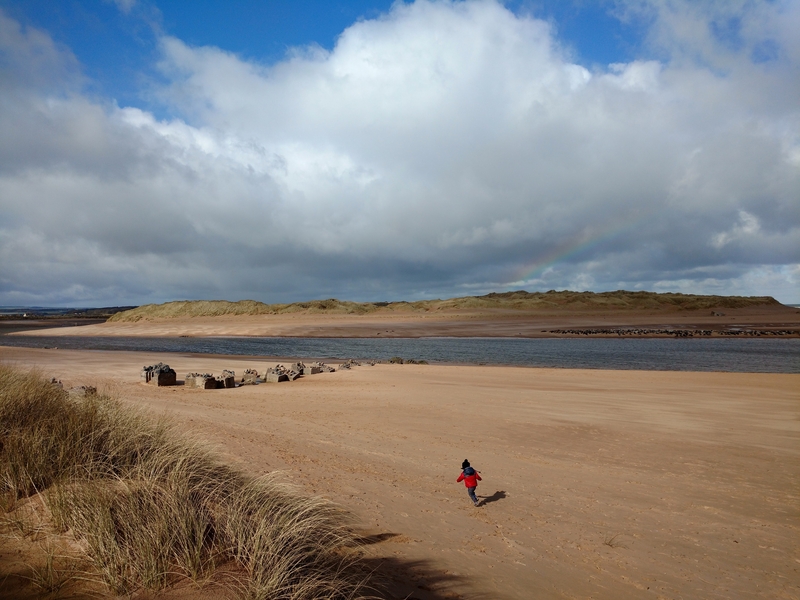 Sheltered Findhorn Bay is a wonderful stretch to take in as part of an easy circular walk. It overlooks the dense expanse of Culbin Forest. You might spy wading birds close to the shore or pretty sailing boats bobbing in the bay. Even on the coldest of days, Portobello can be a hub of activity. Cyclists and joggers can be seen powering along the promenade, while the golden sands are inviting to those who like to wander along the shoreline at a relaxing pace. Afterwards, warm up with something hot and delicious in one of the seaside café bars. West Sands is the kind of beach which is perfect for a Sunday afternoon outing. The 2 mile-long expanse of beach is backed by sand dunes and the world-famous golfers’ paradise, the Old Course. The fresh and bracing winds from the sea make this stretch a popular spot for land yachting and other activities. Turquoise waters contrast with pristine white sands at this hidden gem of a beach. On this walk you can see a beautiful rocky coastline and the route passes by a historic grain mill, now just a ruin. You might even come across the tiniest of 20th century castles! You can easily lose yourself in your thoughts as you stroll along the quiet shoreline of Cata Sand. The beach is wide, the horizon is far, and the sky appears never-ending. Part of the beach is bordered by impressive, towering dunes. 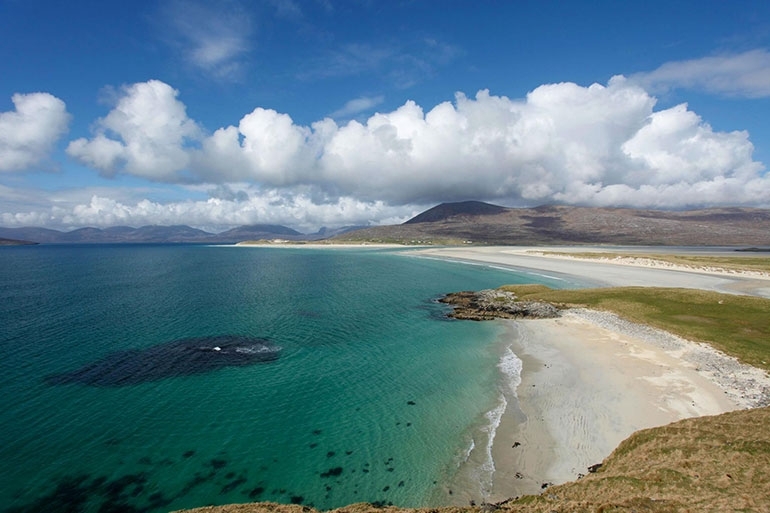 There are countless more beaches to discover in Scotland. 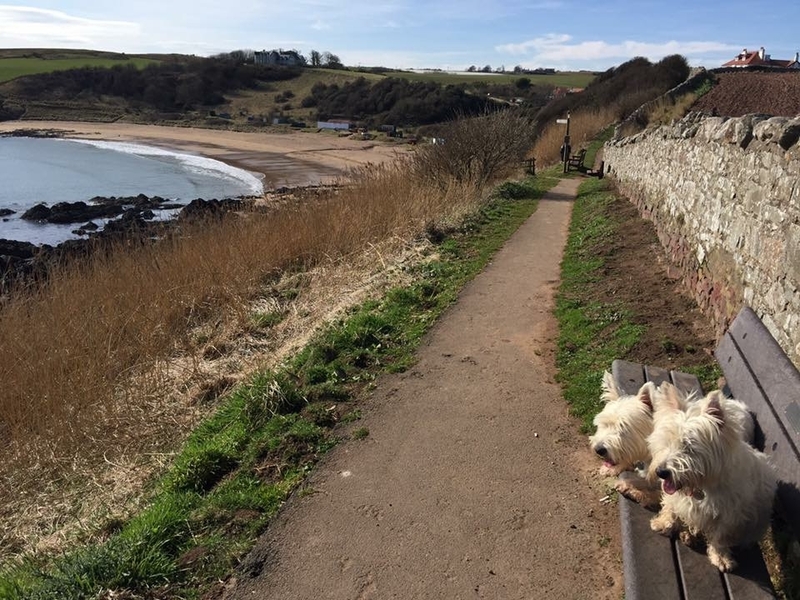 Find one near you on our Beaches page or discover other amazing walks at Walk Highlands. Are you a bit of a beachcomber? 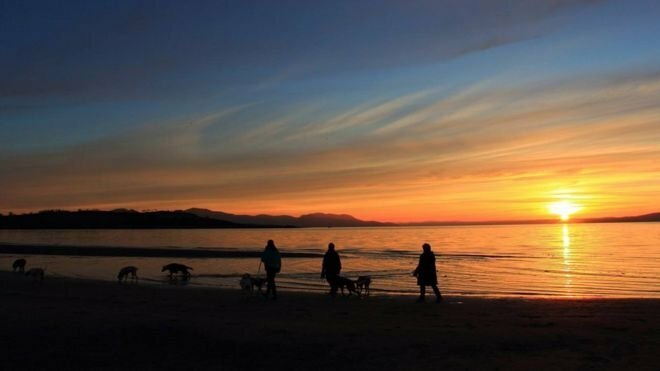 Do you have a favourite beach in Scotland? Share your thoughts and pictures in this thread. My favourites are the East Lothian beaches - Tyninghame with its views of Bass Rock is gorgeous! Great list and some new ones for me to check out. 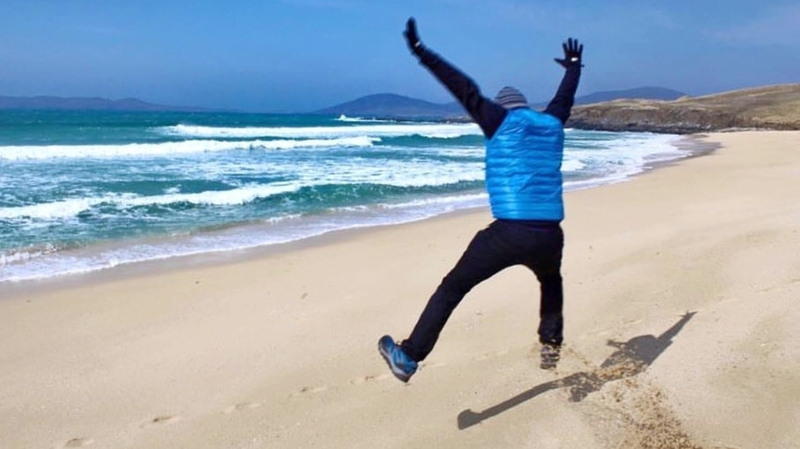 We were completely blown away by the beaches on Harris and Lewis when we visited last year. Here's my Husband jumping for joy on Harris. I have a long held affection for Calgary Bay on Mull, such a beautiful place and somewhere i visit every year when I'm on Mull. Langamull on Mull is also gorgeous. Another favourite is Machir Bay on Islay. Stunning. I'll need to say Nairn beach too as my husband's from Nairn and we got married overlooking the beach. One of my favourites is Ettrick Bay on the Isle of Bute. Lunan Bay and Ganavan Beach are also pretty nice. Sandwood Bay, near Kinlochbervie, is one of the most beautiful and tranquil beaches I've been to. 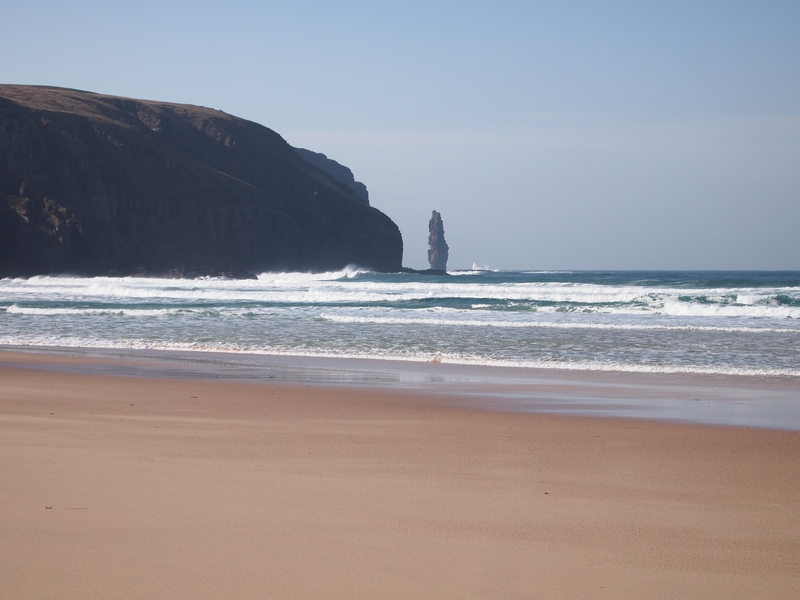 It has a fairly long walk in, but you are more than rewarded with beautiful views, sand dunes, lagoons, the coastline to Cape Wrath, and the sea stack Am Buachaille. Ettrick Bay is one of my favourite beaches. Been a few years since I was last there but can totally recommend the walk in. Look out for the haunted house to the righ of the beach! Do any of these have a Blue Flag? Horgabost Isle of Harris in early June. Takes some beating ! @ElaineR Westies aww they're gorgeous. Lovely photo. It a beautiful area. Completely agree. I love St Abbs. That cliff walk on a bright, sunny day is stunning. The wee NTS place by the car park is great for coffee and cake too. I need to go back soon. 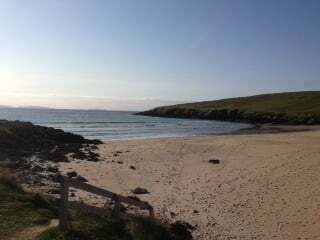 In Yell, Shetland, West Sandwick beach is one of my favourites for a great walk! On sunny days it can sometimes look like you are in the South Pacific but just a little chillier! @Samantha_Grant @Russell Isle of Harris all the way, I'd say the white expanse of Luskentyre & Seilebost beaches just edge it for peace, beauty and tranquility. Sanna Bay in Ardnamurchan is a special place. We have a JoLoMo print in which the uncannily bright colours are actually completely true to our photos.